Manatee County is rich in history, and our reporters revel in uncovering untold stories from decades past. In Sunday's editions, columnist Vin Mannix explores one of those stories through the discoveries of a local historian. 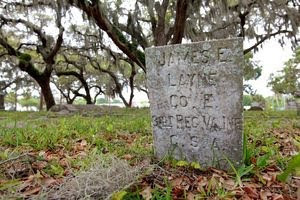 More than 100 known Civil War veterans are interred in more than two dozen cemeteries throughout Manatee County. The majority of those veterans fought for the Confederacy, as Vin reports. And chronicling their histories has been Joe Kennedy’s passion. When I wrote the obit on “Miz Mac,” Virginia Rood McInnis, one of the folks I interviewed was Tina Crawford. During our conversation, I couldn’t help noticing her delightful Southern accent. She told me she’s from Phenix City, Ala.
That night, Paul had an idea for a video voiceover on the cemetery story we’ve worked up about the 100-plus Civil War veterans interred around Manatee County. He asked if I knew anybody with a Southern accent. I called Tina, ran the idea by her and she came in Wednesday to read down the names while Paul recorded her. Listen for yourself. This is definitely one for the scrapbooks. Toni Whitt, our new urban affairs reporter, is blogging now in "Off the Agenda." As she writes, this blog is designed to look at the effects of government decisions on neighborhoods, businesses and individuals. In her most recent posting, Toni notes a genuine success story where residents' voices were heard. She wrote last week about residents in Bayshore Gardens pleading for help with abandoned homes in their neighborhood, where arsonists have set more than a dozen fires in the past 18 months and squatters have trashed the properties. As she notes in her blog today, the county staff has found some grant money to begin demolishing those houses. Toni will continue to track the highs and lows of our elected officials here in Manatee County. We definitely know there's plenty to write about. Healthy Living debuted today, as promised, with a fresh look designed by Features Editor Jana Morreale. The tab format is back by popular demand, especially from the medical community. A tab's "shelf life" is typically longer, so we hope to plant copies throughout our doctors' waiting rooms. We also have a new health correspondent, Susan Hemmingway, who has reported on health issues over the years for several Tampa Bay publications, including the Tampa Tribune. * Faces in Health: Mini-profiles of our Manatee neighbors involved in the industry of healing. * Eating for Life: Healthy nutritional recipes, tips and guidance. * Columns by staff at Blake Medical Center and Manatee Memorial Hospital. 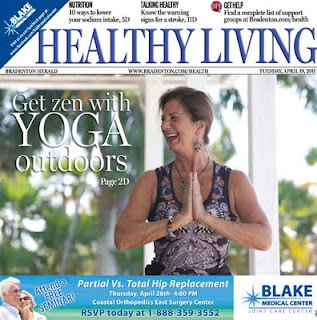 Our online content can be found at bradenton.com/living/health. And don't forget to sign up for our weekly e-newsletter. Make sure you look for the new Healthy Living tab in Tuesday's editions -- it's a revived, locally focused weekly health section. And if you sign up now, you can receive the first edition of our new Healthy Living e-newsletter. This was breaking news at its best, with online and print elements that told such a powerful story. 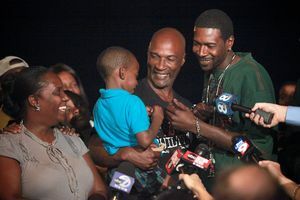 Late Monday afternoon, we learned that Derrick Williams, in prison for 18 years, was going to be freed based on DNA evidence. We had a few hours to make the trek to Hardee County, but our cop reporter was already out on two stories. Urban affairs reporter Toni Whitt grabbed the opportunity, despite an already-long day in the office, declaring, "We can't NOT have that story!" Toni tracked down Paul Videla, who was ready to go with camera and video. And they captured the drama of the moment, first with a breaking news post, then for Tuesday's editions. Toni's story for print editions Tuesday, April 5, was packed with detail and emotion. And Paul's photos and video, particularly the ones posted here, and his gallery spoke a million times over. Story. Photo. Video. Blog entry. Layout. Lede. Breaking news posting. Headline. I share our list every Thursday with the Herald's publisher and directors in our weekly operating committee meeting. And I promise you -- it's quite an adrenaline rush to take pride in some of the hard work being done by our journalists. The team’s reporting on the slaying of Manatee School for the Arts Teacher Kenneth Ellis. Metro Editor Marc Masferrer, reporters Paradise Afshar and Angie Taylor and photographer Grant Jefferies worked the story quickly and relentlessly throughout the day. Angie’s story was written with heart, but had the crucial crime details that were known in the early moments of an unfolding mystery. Reporter Toni Whitt on Tallevast (Sunday, April 3). The thorough report reminded us again that more than anything, Tallevast is a human story. Alan Dell, April 2, “NCAA’s old Sanity Code needs update”. Well-researched column about the hypocrisy of the NCAA. John Lembo, April 1, innovative poll on his sports blog. Look to the right side of the blog. Now vote! When the skies opened up last Thursday, the editors and photographers jumped into action. Stories and photographs posted throughout the afternoon did very well, contributing to our best single day for page views. Universal Desk editor Mary K Means won kudos this week for her Sunday Local front. It's a clean, appealing page that welcomes the reader to look around and stay for a while. 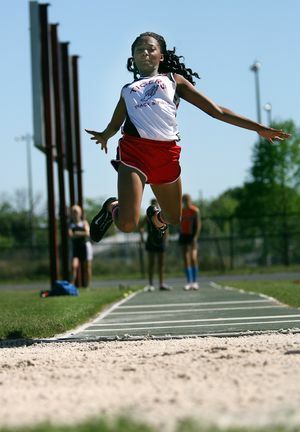 Tiffany Tompkins-Condie, Palmetto long jumper flying through the air. Great photo of high school athlete at height of her ability. Grant and Tiffany at Seafood Fest: Our viewers online LOVED these photos! Literally thousands of views were logged throughout the week. Paul Videla’s "Soothing Scene from De Soto National Memorial,"
Who said reporters can’t write headlines!? !